I have officially been a blogger for a year now and I have to say that I love it! I originally started the blog to serve as a scrapbook for our family and I have really enjoyed having it! Sometimes I will just read back through it when I get bored, but really I love knowing that one day when we won't remember all of this stuff, we will have the blog to look back on! My friend Kelly told me that my blog was very "thorough" and that is what I was hoping for. I know it might not be necessary for me to write about going to the grocery store or cooking dinner, but one day, who knows what my days will be like and now I will be able to remember what I did back in the day! I have started turning the posts from 2010 into a book, and I am nearly finished. I can't wait to see it in hardback and print! I just wanted to thank all of my faithful readers for finding our little life interesting and for dropping in from time to time to check on us! We really appreciate it!! !Please don't forget us, as some really fun things are about to come up for us and we want you to be a part of them! 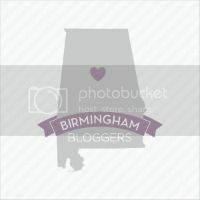 Associated Dermatology of Birmingham has a friendly and caring staff specializing in all forms of dermatology. Visit us and let our expert staff assist you with any dermatology need you have.